Happy Halloween! If you're not into it, I assume you're at least using it as an excuse to stuff your face with some candy tonight. I've got my glucose test next week so I'm going to try to limit myself on the sweets... we'll see how that goes. Sadly we didn't even get to carving a pumpkin this year but I'm going to add some bats to our front door to make it more fun for the trick-or-treaters! Linking up as usual with Amanda and Christina for some of my favorites from the week! These apple cider donuts from Carolina Charm are so incredibly delicious, you all need to make them right now. There are a lot of ingredients but I promise they are worth it! I can't even begin to explain how excited I am about this blue watercolor calligraphy print by Lauren from A Fabulous Fete. I asked her to do these sweet Coldplay lyrics for the nursery and I had it in my hands in just over a week. If you're looking to do something similar with your wedding vowels, lyrics, etc. I cannot recommend her enough! I know a lot of people love the Kate Spade planner, but I'm impatiently waiting for Target to finally put out the 2015 Sugar Paper planners. 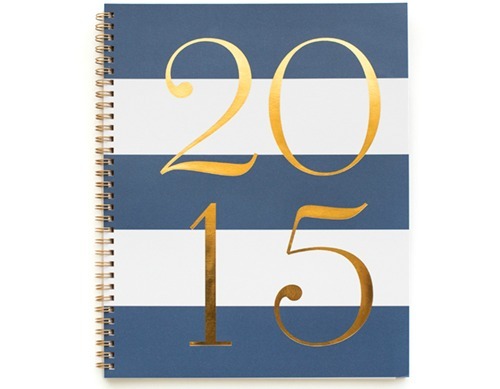 I got one on clearance last year and I'm obsessed, so I can't wait to get my hands on this navy and gold one! Even with my OCD tendencies for scheduling, this $17 option is perfect! 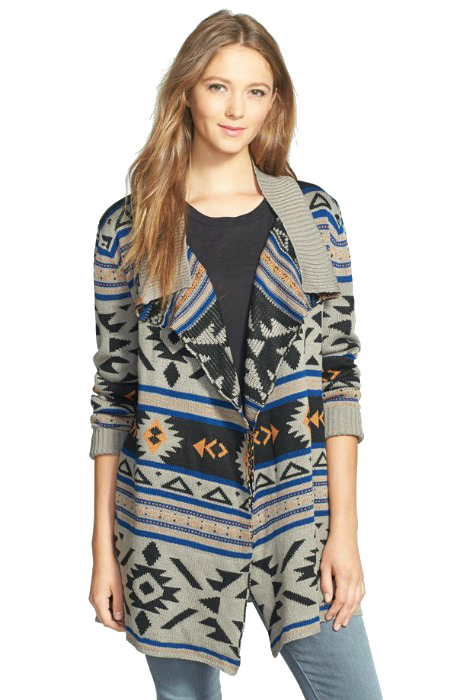 I've been on the hunt for the perfect aztec sweater and I think I may have found it! I love the colors on this but I'm worried it might be a little too bold for me to pull off. Anyone else loving this cardigan trend? I missed my Friday post last week but just wanted to say thank you so everyone who participated in the first part of the holiday linkup hosted by myself, Lisa, Annie, and Katie. I loved going through and seeing everyone's festive posts and cannot wait to see what y'all have in store for the Thanksgiving linkup! Mark your calendars! I hope you all have a fun and festive weekend! Drink a glass of wine (or three) for me, will you?! Those prints are so sweet! 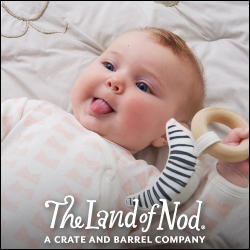 They'll look great in the nursery. How about you make me an apple cider donut since you have your fancy Kitchen aid Mixer!! Have a great weekend! Those donuts!!! Yum! Love that cardigan too! Happy Halloween. Hope you have a great weekend. They just put those planners out yesterday! Oooohh I love that print and I'm sure it will look fantastic in the nursery! I've never seen that planner line before but I love a good paper planner so I'll have to investigate. Happy Halloween! Lovee that print! What a perfect addition for the nursery, so so sweet. And that sweater is so great! Definitely a good choice. Happy Halloween! That planner is so cute! I'm in need of a new one but there are just so many choices... the price tag on this one is really convincing though :) And those donuts, Y-U-M. I want them but I just can't have them in my house!! Happy weekend! Oh those donuts have me drooling right now!! I love target planners - they really get the job done!! Hope you have a great weekend! I really like that sweater - what a great find! 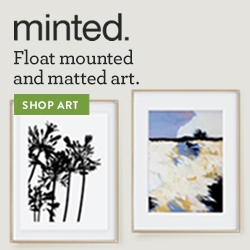 That calligraphy print is goooorgeous! I have been all about my Erin Condren planner this year, but I wouldn't mind something just a tad bit cheaper! I may have to look into this option! Happy Halloween! I could definitely go for that Aztec sweater, it looks so warm! Happy Halloween!! the DONUTS!! the very, very best!!! That print is amazing! And it's crazy to me to think about needing a 2015 planner already!! Those donuts look so good!! And how perfect is that print! I love those lyrics. I might have to check out that planner as well! Happy Halloween! Apple cider doughnuts?! I don't even like doughnuts and those sound freakin' amazing! !